National news reports daily on the ongoing drama between Russian and American politicians. While the media provides an endless stream of reports on tensions between the two governments, locally, the Los Alamos – Sarov Sister Cities Initiative (LASSCI) is striving to keep a relationship strong relationship between Los Alamos and its sister city, Sarov, Russia. To do that, LASSCI needs community involvement now more than ever. The last time representatives from Sarov and Los Alamos paid each other’s community a visit was in 2013. Los Alamos Fire Chief Troy Hughes, former County Council Chair Geoff Rogers, former Deputy Fire Chief Justin Grider, County Manager Harry Burgess and White visited Sarov in the fall, after several delegates from Sarov had visited Los Alamos that spring. Despite there not being any recent visits, White said people in both cities remain in communication through Skype, email, telephone and other means. He added the Mayor of Sarov Alexy Golyubev is very supportive of continuing the initiative as well as personally visiting Los Alamos as soon as such a visit is practical. White pointed out that although the current political climate has put a damper on the exchanges between Sarov and Los Alamos, the sister cities can still interact. The genesis of LASSCI may seem surprising; its foundation began during the Cold War. White said Los Alamos National Laboratory scientists met their Russian equivalents during arms control talks in Geneva. He said they learned they could have good personal and professional relationships with their colleagues even if their countries were at the time political adversaries. The relationship with LANL’s Russian counterpart nuclear laboratories was further expanded by former Los Alamos National Laboratory Director Sig Hecker. As an outgrowth of this engagement, former Special Assistant for Russian Collaboration Office of Associate Director for Weapons Physics at LANL Irv Lindemuth pushed for a Sister City Initiative with Sarov. Lawry Mann, who at the time was Chair of the County Council, also thought it was a great idea. With strong support from the Council, LASSCI was established as an all-volunteer organization to implement Sister City activities. Los Alamos and Sarov officially became sister cities in 1994 under the Sister Cities International umbrella. Sheehey said there are 70 U.S. cities are paired with Russian cities, but only Los Alamos and Livermore, Calif., are paired with cities in Russia that also have nuclear weapons laboratories. “The lab established pretty extensive lab to lab scientific collaboration,” Sheehey said. It has reaped a lot of benefits. “It fostered friendships and human understanding and human interaction,” he said. People representing a wide spectrum in the two communities have visited Sarov and Los Alamos. Teachers, firefighters, County Councilors, doctors, librarians are just a few. High school students have also exchanged visits. Sheehey said many students from both countries have had their eyes opened from traveling to their community’s Sister City. “That exposure to other societies is so valuable to education,” Sheehey said. For more information about LASSCI, visit http://www.lasarov.org, and follow the Contact Us link. Red Square, the Kremlin, St. Basil’s Cathedral, the (formerly) Secret City of Sarov, the iconic Sarov Bell Tower, warm welcomes from Sarov youth, memories to last a lifetime! 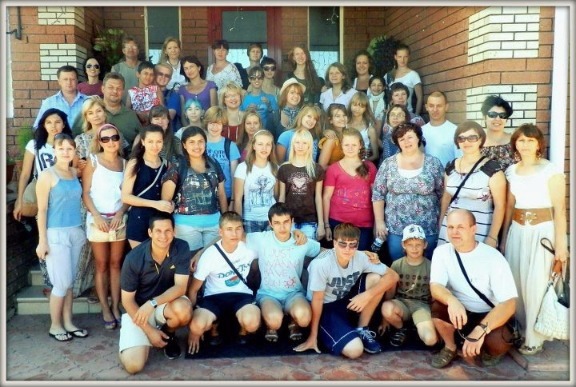 The Los Alamos - Sarov Sister Cities Initiative (LASSCI) is seeking applications from High School students interested in a life-changing, summer 2014 visit to our Sister City. An Information Session for interested students and parents will be held on Saturday, February 1, 2014 beginning at 1 PM at the Mesa Public Library (3rd Floor, Rooms 2 & 3). Attendees will learn everything they need to know to consider participating in the summer 2014 trip. The purpose of the Summer Youth Exchange Program is to promote mutual understanding between our two cities and between our respective countries. Participating students will develop appreciation for both the similarities and differences of life in our communities, and learn about the history, the culture and everyday life of our partner. 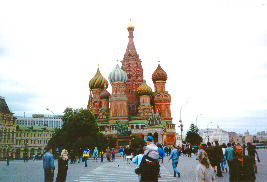 Visits under the Summer Youth Exchange Program involve ten students accompanied by chaperones, and start with two days in Moscow for sightseeing and time-zone adjustment. 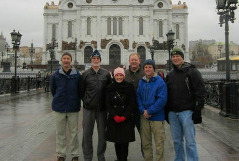 The group then travels to the ‘secret’ city of Sarov for a two week, fun-filled, educational experience. The program will include learning about the history of the town, touring attractions in the surrounding area, music and other cultural events, trying out new food, and meeting and just kicking back with Sarov students. Visitors will discover new things about themselves, form lasting friendships and, as previous participants have attested, have life-changing experiences. Applicants should be sophomores or juniors at Los Alamos High School, although other students will also be considered depending on excellence in the selection criteria. Applications are due by February 28, 2014. Notification of selected students will occur before the end of March. The cost of the trip will be about $2500 per student, and a non-refundable deposit of $250 will be due by the Application closing date (February 28). Travel to Sarov will take place during the last week of June 2014 and the first week of July. Precise dates will be determined by airline schedules and coordination with Sarov. LASSCI will seek to identify financial assistance for students who want to participate, but whose families are not in a position to pay for the trip. Los Alamos and Sarov have been Sister Cities since the 1994. Students from Los Alamos most recently went to Sarov in 2012, and high school students from Sarov were in Los Alamos in August 2013. These youth exchanges have been going on for a number of years. For further information about the trip, about the Information Session, or about how to apply, please contact the LASSCI Youth 2014 Coordinator: Paul Criscuolo, 505-353-1463,pcriscuolo@gmail.com. The delegation found similarities in the forms of government, in the respect for history, in commercial enterprise and in daily activities, although unique experiences also stood out. About 6,000 miles away, there’s a town in Russia that has a similar history to Los Alamos when it comes to the development of nuclear weaponry and technology. Sarov, a town located in Nizhny Novgorod region of Russia, has been a major nuclear production facility since 1946. The two towns also share a similar history when it comes to natural disasters. In 2000, Los Alamos was ravaged by the Cerro Grande Fire, which came very close to the Los Alamos National Laboratory. In 2010, Sarov went through a similar event when it had to evacuate its nuclear facilities and relocated its nuclear materials as wildfires ravaged the area. The Sister Cities have many parallels. 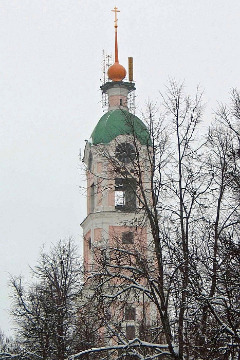 Russia’s first nuclear bomb was developed in Sarov, and the All-Union Scientific Research Institute of Experimental Physics (VNIIEF) is located there. Scientists from LANL and VNIIEF have cooperated on various arms control and nuclear safeguards programs.